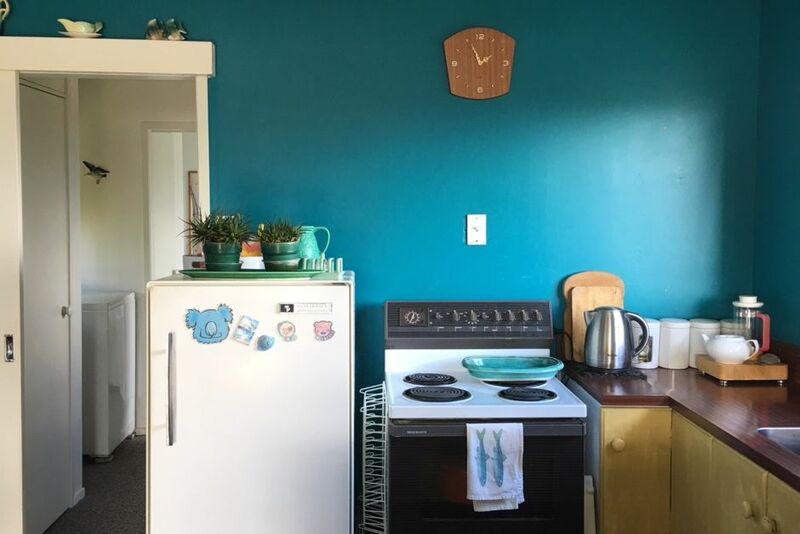 This one bedroom 1980s pole house sits above the surrounding houses to give you views of the harbour ,the Raglan bar and Mount Karioi in the distance. Enjoy sun all day and a sense of freedom. Walk to the cafes up town,its a short drive to the surf beaches, a five minute walk for fish and chips at the wharf or a easy stroll to the harbour. Raglan is known for its surf beaches, beautiful scenery and friendly cafes and shopping. The Bach is cosy, full of character and has everything you need for an easy holiday at the beach. It has steep stairs up to its deck as it sits high above the ground. Our stay has been such a pleasure. Our stay has been such a pleasure. Beautiful views, cosy and comfortable accommodation. Very happy!